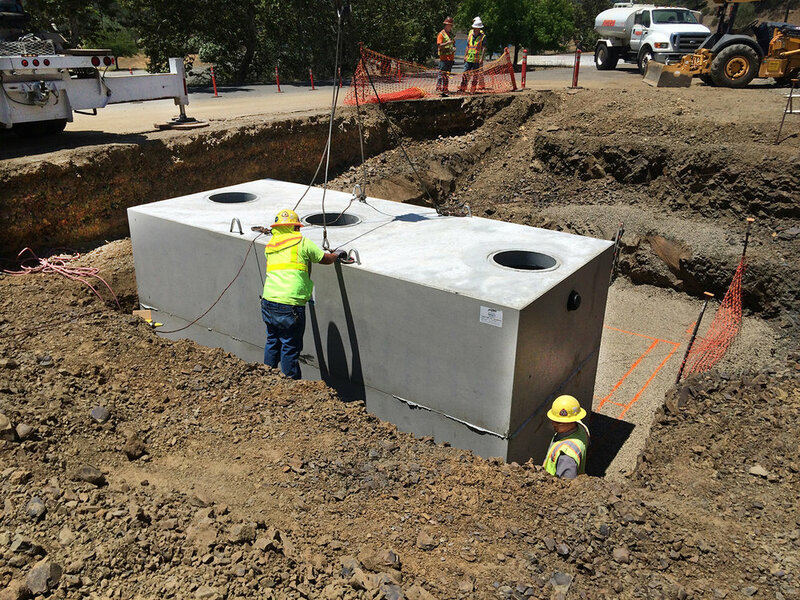 Furnish and install 6500 lf of 3” HDPE water main, connect to existing well, and 2 5,000 gallon poly water storage tanks. 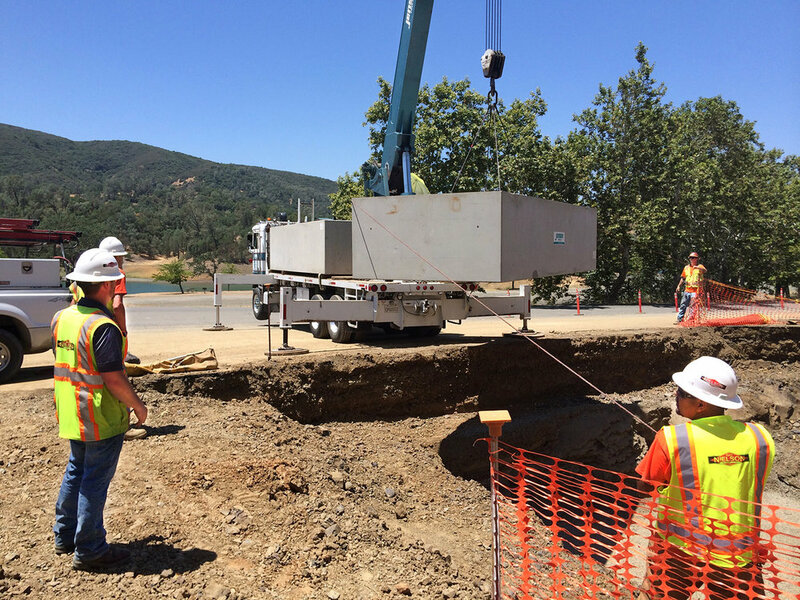 Furnish and install twin 5,000 gallon RV dump station at 3 recreation area locations. 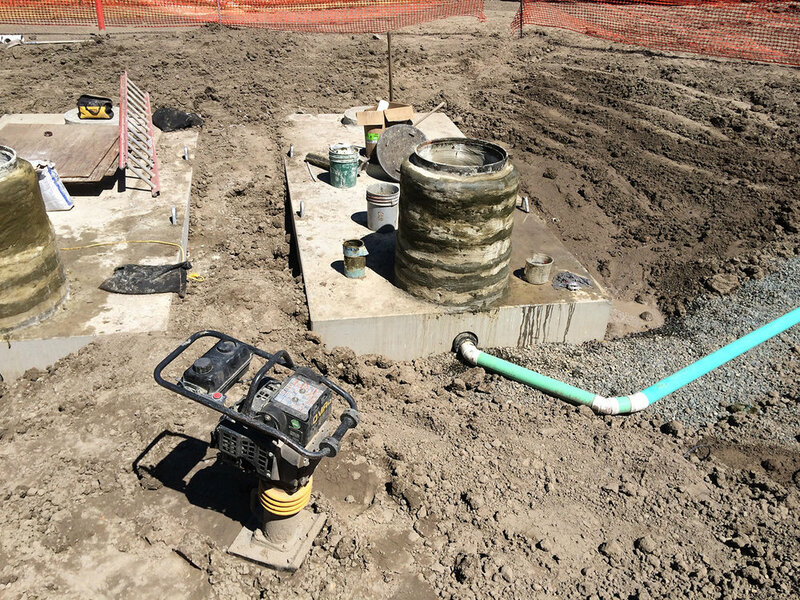 Place and compact existing soil and rock materials to re-establish the washout area.